All through spring and summer of 1943 starving and diseased POWs from the up-country railway work camps (in Thailand) trickled south to the bigger camps such as Chungkai. Barry reached this camp in July 1943 and was soon fit enough to do some work. My first and simplest job was basically as a storyteller or rather reader. I would take a likely book from the camp library and sit down on the end of a bed space in one of the sick huts, and read a chapter or two. Then I would move down the hut, twenty or thirty yards, and read the same piece to another lot of sick men. This was judged to be a useful employment, so I was never called on to join a maintenance party. These jolly functions contrasted harshly with our work in the sick huts, which got steadily worse as more parties of sick and dying arrived from up river. We were burying ten, fifteen, or even twenty every day, and it was disconcerting during my readings to become aware that one or two of my audience were never going to hear the next chapter. The job of Almoner, or “Lady Almoner” as it was called, involved the actual distribution of goodies bought from the welfare fund, to the sick men in the huts. The most useful purchases were eggs, honey, palm syrup, and occasional pots of vegemite, the Australian marmite. There was, of course, not nearly enough for everyone, the M.O. in charge of a particular hut would give me a list of the men due to receive these extras and the quantities for each one. This entry was posted in POWs, Reading, Writing notes and tagged Chungkai, Far East POWs, Fergus Anckorn, Lady Almoner, Researching FEPOW History, Thailand, writing, WWII by hilarycustancegreen. Bookmark the permalink. Hard to click on the like button. This is the most poignant post you have done so far Hilary. I know what you mean. There is nothing grandiose happening here, but the men who had survived the railway were too sick to make it through the rest of the war. Pity those poor doctors making decisions every day. Having to do this to men who were suffering so much must have been much harder than working on detail parties for the Japanese. Your father suffered so much, much more than I had realized before. My reading in the last two years has shown that it is impossible to compare degrees of suffering. My father had a tough time, but thousands of others had it even worse physically and we cannot know the mental challenge for each individual. 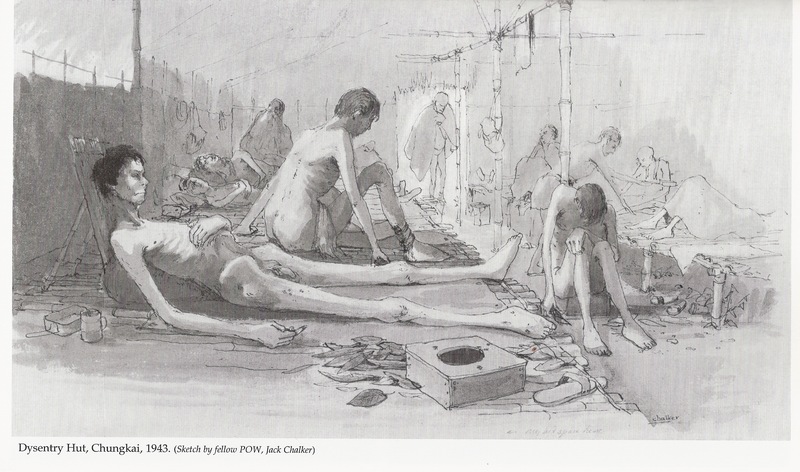 All Far East POWs were affected for the rest of their lives. Each time I read things like this, I wonder what the hell is wrong with politicians unwilling to appropriate the funds necessary to serve the post-war needs of those who gave much more to their nation than the majority of those in Congress. (As far as the US is concerned… I hope Canada and other countries show more consideration for their citizens who went to war to preserve our/your way of life.) I’m sputtering mad just now thinking about it. The injustice is unspeakable. You did a wonderful job here in portraying that. Thanks, but I am only editing. Most of the text is my father’s own words in his memoir.